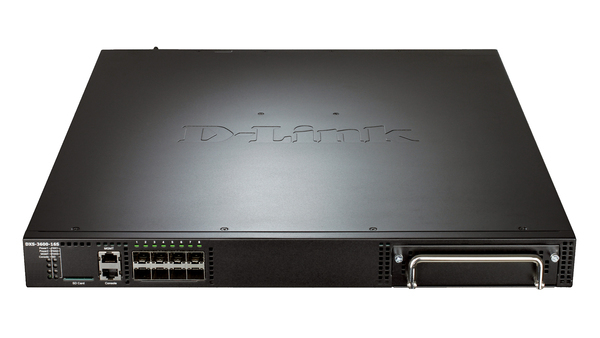 D-Link’s DXS-3600-16S 8-Port Top-of-Rack 10 Gigabit Managed Switch consists of compact, high-performance switches that feature 10 Gigabit Ethernet switching, routing, and very low latency. The 1U height and front-to-back air flow makes the DXS-3600-16S suitable for Top-of-Rack data centre, enterprise and campus aggregation network environments. 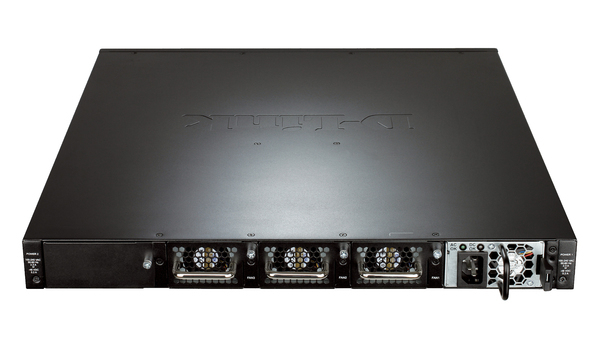 The DXS-3600-16S is an 8-port 10 Gigabit SFP+ ports switch with an expansion module slot. The optional expansion modules provide additional 10GBASE-T or 1000BASE-T connectivity for different applications. The DXS-3600-16S provides your network with high-performance 10 Gigabit Ethernet switching capacities of up to 480Gbps and forwarding rates of up to 357Mbps. Hot-swappable power modules and fan trays provides the switches with redundancy and high availability. As well as redundancy, loading sharing between the power modules helps to further extend their lifetime. The modular fan design can provide 2+1 redundancy for the system. If a fan fails or the temperature rises, the smart fans will increase their speed accordingly to ensure the device continues to operate without downtime. The DXS-3600-16S can be deployed using one of two different software images. The Standard Image (SI) features a wide range of Layer 2, VLAN, multicasting, Quality of Service (QoS), security, data centre, and static routing functions. The Enhanced Image (EI) features comprehensive IPv4/v6 routing including RIP, VRRP, OSPF, BGP, and L3 multicasting features such as IGMP, MLD, PIM-DM, SM, SDM, SSM, and DVMRP. The Enhanced Image (EI) also supports L2/L3 MPLS VPN that enables the DXS-3600-16S to be deployed as the core router of an enterprise environment or as an aggregation switch in an MPLS environment. Data Centre Bridging (DCB) is an essential set of enhancements to Ethernet for networking in data centre environments. The DXS-3600-16S supports various core components of Data Centre Bridging (DCB) such as IEEE 802.1Qbb, IEEE 802.1Qaz, and IEEE 802.1Qau; preventing data loss during network congestion, managing the allocation of bandwidth and providing congestion management. The DXS-3600-16S also supports cut-through switching, which reduces network latency. The DXS-3600-16S allows users to manage airflow by using different power and fan module sets. Front-to-back airflow optimizes air circulation to provide more effective cooling throughout rack systems in data centres. The switches also feature built-in smart fans; internal heat sensors monitor and detect temperature changes, and react accordingly by utilizing different fan speeds for different temperatures. At lower temperatures, the fans will run slower, reducing the switch’s power consumption and noise.